David Carbonell, Ph.D. Anxiety Coach® explains being blocked by fear? 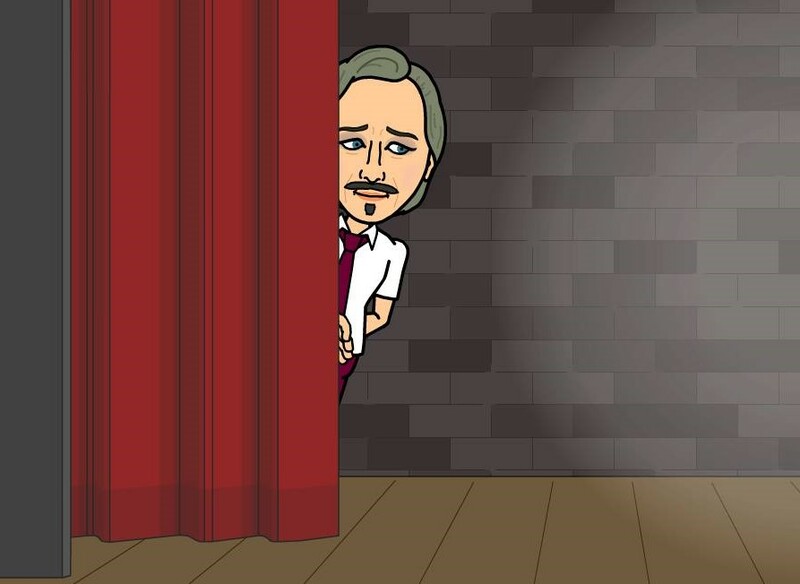 The first step in dealing with stage fright, and all kinds of performance anxiety, is to get a good understanding of just what kind of problem you're dealing with. There's a trick to stage fright, as there is with most phobias, and you really need to understand the trick to find the solution. Performance Anxiety in its various forms is the most common phobia in the United States. It's often called "stage fright", but it doesn't have to involve a stage. Anyone whose activity brings them to the attention of an audience, however large or small, can experience performance anxiety. I use the terms, stage fright and performance anxiety, interchangeably. Performance Anxiety is most commonly experienced as a fear of public speaking. However, people whose career or other interests require them to take the "stage" for other purposes, i.e., actors, musicians, athletes, etc., will experience stage fright as an impairment of their own particular activity. A mime, for instance, can experience performance anxiety, looking timid and arthritic, even though no speaking is involved. Performance Anxiety is very treatable. However, many people just suffer with it, with all the limitations and negative emotions it imposes. They either don't realize help is available; they fear they can't be helped; or they think it will be too hard. While everyone's situation will vary in some ways, I find that there are four general ways in which people experience stage fright. Some people go to great extremes to avoid any possibility of being "on stage". I've worked with clients who carefully chose all their college classes to avoid any presentations, and picked a career which wouldn't ever include any public speaking. These people usually succeed in avoiding presentations, but often have regrets about the way this fear controlled their life choices. If you belong to this group, you are probably troubled by both fear and regrets. There are others whose performance anxiety is less extreme. They don't let the fear dictate their major career and life choices. But they do strive to avoid the occasional presentation at work, the wedding toast, and the leadership of a civic group. They usually keep their fear a secret, and try to find ways around it. As a result, they never feel secure. The problem hangs over their head for lengthy periods of their life, even though they rarely actually give a presentation. If you belong to this group, you probably suffer considerable anticipatory fear and shame. Then there are those whose professional success has led them to the necessity of public speaking, even though they would rather avoid it: the attorneys, engineers, architects, authors, doctors, teachers and others whose work has become so successful, so much in demand, that they are increasingly requested and pressed to present their talents and knowledge before an audience. If you belong to this group, you must either develop the ability to face an audience, or cut short the successful arc of your career. And finally, there are people with a passion for creative expression. In this group we find performing artists, musicians, singers, actors, comedians, professional speakers and athletes. None of them are immune to performance anxiety. If you belong to this group and develop stage fright, you face a dilemma which cannot be avoided. Your spirit urges you to seek out the audience, even as your body warns you to stand back, and >b> you must choose. The good news is that performance anxiety is common and treatable. If you want to overcome this problem, you can! But in order to overcome it, you must first understand how it works. Performance Anxiety is what happens when you focus on yourself and your anxiety, rather than your presentation or performance. It stems from a tendency to resist and fight your anxiety, rather than to accept and work with it. It's the result of thinking of the performance situation as a threat, rather than a challenge. Stage fright is like being heckled mercilessly during your performance, and getting into an argument with the heckler, except that it's your own mind doing the heckling. You get so involved in your internal struggle that you don't get involved with the actual performance. Most people with performance anxiety fright get tricked into focusing on themselves, struggling against anxiety in a vain effort to get rid of it. To illustrate this point, here's an excerpt from a consumer review I saw on amazon.com which reviewed a book about the fear of public speaking. See what's happening here? The goal this reviewer sets for himself is to get through the presentation without anxiety. That's almost certainly not going to happen, because even people who love public speaking get some anxiety when they present. (I really like to get in front of an audience, but one time, offering a toast at a friend's wedding, I found my arm shook so much I couldn't keep the champagne in the glass). So, when he does feel anxiety, he's going to think he's really in trouble, and will struggle more...only to make himself more nervous. How does he make himself more nervous? He tries not to involve his audience, because he doesn't want them to slow him down. So he hurries through it, keeping it dull, maybe even just reading it and not looking at the audience. This means he doesn't establish any connection with his audience, which will make him feel more lonely and isolated up there. It means he won't get any encouragement or show of interest from them, which would help him calm down. It means he's just up there by himself, struggling with his own self criticism. One of the keys to mastering stage fright is to become truly involved in, and focused on, your material. In a complete program for stage fright, you'll need to work with the anticipation you experience in the hours, days, and weeks (maybe months!) before a presentation. You'll need to work with the anxious symptoms you experience during the presentation. You'll need to know how to defuse the Panic Trick. And you'll need practice with the performance situation itself. Here are a few tips that can help you during the actual presentation. Compare them to what you usually do when you have to perform. You may find that these tips are the opposite of what you usually do when you have to get in front of an audience. That was true for the consumer book review mentioned above. If that's the case for you, as it generally is for people who struggle with this phobia, it will hopefully suggest a direction for you to try something different. And different is what you need. If you keep doing the same thing, you can only expect the same result. ‍1. If you want to talk (or sing, act, etc. ), you have to breathe. And if you want to do these things calmly, you'll need to breathe diaphragmatically. This won't always come naturally, and you'll probably need to practice. You might think you already know everything there is to know about breathing, and if you're a professional singer you probably do. But everybody else, be sure to take a look at the breathing material. 2. Remind yourself that they're not here to see or hear you, unless you're a very famous person, or your mother's in the audience. They're just here to see the person who's playing this piece or talking about this topic. Today that happens to be you. That's not really important to them in most circumstances. 3. Expect, and accept, that you will feel anxious, especially at first. That's OK. If you allow yourself to work with the anxiety, not against it, you'll be able to calm down and proceed. If you resist the anxiety, you'll make more trouble for yourself. 4. Take the emotions and passion you feel for your subject or artistic expression and channel it into your performance. Don't try to "hold it down". If you try to suppress it, it will work against you. Express it! 5. Establish the right focus for your task. What do I mean by focus? I mean what you're paying attention to as you engage in your performance. This, unlike the other four tips above, will vary depending on what kind of performance you're engaged in. 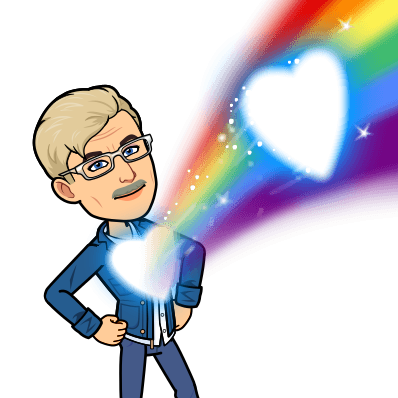 * If you are giving a talk, your focus should be your material and the audience reaction to it, because your task is to inform or persuade them. You therefore want to be aware of how they are responding, so that you can connect with them in various ways. *Establish contact with the audience through eye contact and talking directly to them. Ask them questions to get them involved in your talk (i.e., How many of you here have ever had this experience...?) While your natural instinct will probably be to avoid the audience as much as possible, just like the reviewer cited above, you will actually feel less anxiety once you get the audience involved with you. *If your task is a performance art, your focus will be different. It's not your job to persuade or inform the audience. You want to perform a piece for their enjoyment. In this case, you can ignore the audience, and turn your focus to your music, or your character, and leave the audience to enjoy your performance on their own. *Where you don't want your focus to be is on yourself and your anxiety. This is why it's so useful to develop an accepting attitude toward the anxiety, to take a few steps to calm yourself a little, and then shift your focus to the task at hand. Stop the Show! 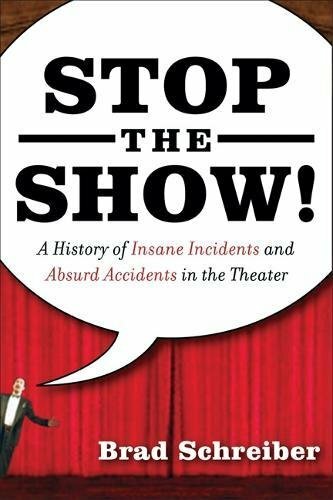 is the first book to assemble humorous, frightening and bizarre anecdotes about the history of all that went wrong during live theatrical productions in the U.S. and the United Kingdom. It is the publishing equivalent of TV bloopers for the legitimate stage. This book includes stories from top directors, actors, playwrights and technicians from New York, Los Angeles, and points in between, to the United Kingdom, from the 19th century to today. There are stories about missed entrances and exits, onstage unscripted fights between performers, improvised lines, accidental pratfalls, falling scenery, and costume, lighting and makeup screwups. The backstage provides sordid tales of practical jokes, treachery, misplaced props, wild arguments, and generally the kinds of things Michael Frayn created for his farce about a theatrical disaster, Noises Off. This book doesn't leave out the theatergoers either, who snore, fight with each other, talk back to the performers, search for their seats, become suddenly ill, eat, drink, make merry, and are yelled at by the performers - all of which sometimes prompts the show to stop, even though we've always been told it must go on. Learn to laugh at the realness of live theater.